Dr. Atreja has received formal training in public health and is board certified in gastroenterology, clinical informatics and internal medicine. Over the last fifteen years, he has led many public health and informatics initiatives at Cleveland Clinic and Mount Sinai Medical Center, NY that includes developing online education modules, leading EHR implementation, performing analytics on healthcare data and developing enterprise-wide mobile apps. As Chief Innovation and Engagement Officer, Medicine, he leads the Sinai AppLab (http://www.applab.nyc) that is one of the first collaborative hub within academic medical center to build and test disruptive mhealth technologies. Dr. Atreja leads scientific registries for American Gastroenterology Association and serves in Innovation Advisory Board for American College of Cardiology. As an intrapreneur, Dr. Atreja has won innovation awards at Cleveland Clinic and Mount Sinai, successfully licensed technologies from academic centers and advises startups, accelerators and Fortune 500 companies in digital medicine. 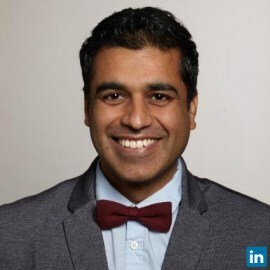 Recently, Dr. Atreja established Network of Digital Medicine (www.nodehealth.org) to connect innovation centers worldwide and share best practices for digital medicine innovation and implementation between industry, payers and health systems. Dr. Atreja has published more than 60 papers, presented more than 200 abstracts and has been a keynote speaker globally on topics related to digital medicine and health system transformation. Dr. Atreja serves as Scientific Co-founder for Mount Sinai Spinoff, Rx.Health that brings first enterprise-wide app curation, prescription and engagement platform to risk sharing hospitals and payers in an affordable and scalable manner.